TheAngrySpark: Street Fighter x Tekken Round 2- Mini-Fight! 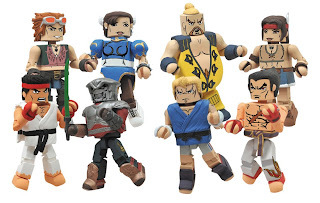 Arriving at comic book stores and Toys r Us' in January 2013, series two of the little guys has a pretty blockbuster lineup featuring many of the staple characters from both fighting game series'. And of course, if we're talking Minimates then we're talking retailer exclusives here's who you'll find in both Toys R Us shops as well as specialty stores. So, what do you think? Who has the better assortment? 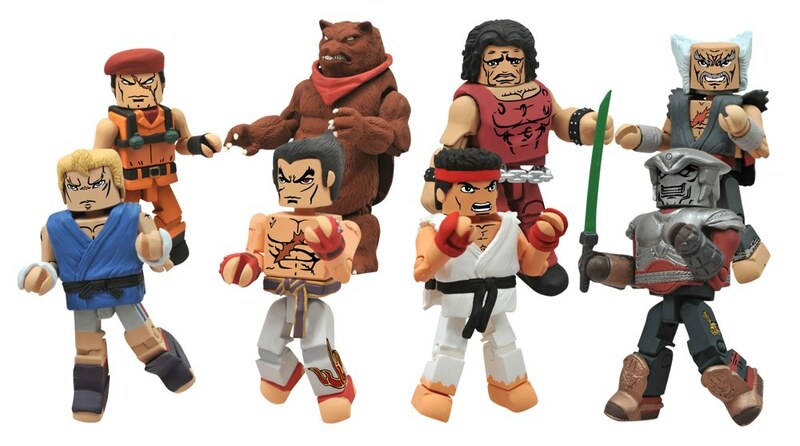 Both cases have Ryu and Kazuya; but for Chun-Li, Kuma and others you're gonna have to make a few trips.